Whether NNSA's intent is to no longer make these available, or whether they are reorganizing their website and didn't provide alternate URLs we don't yet know.. We're on the case. The National Nuclear Security Administration (NNSA) has publicly released its fiscal year 2016 Performance Evaluation Report (PER) for Los Alamos National Security, LLC (LANS), the for-profit contractor that runs the Los Alamos Lab. The Performance Evaluation Report is NNSA's annual report card on contractor performance, and overall the agency awarded LANS $59 million in profit out of a possible $65 million. The grade was 85% for the incentive part of the award. In 2012 Nuclear Watch New Mexico successfully sued NNSA to ensure that the Performance Evaluation Reports detailing taxpayers funds paid to nuclear weapons contractors are publicly available. In 2016 the NNSA decided to put the LANL management contract out for competitive bid, but granted LANS a contract extension until the end of September 2018. NNSA did not release FY2015 Performance Evaluation Reports (PERs) until March 2016. NukeWatch will be filing a FOIA for FY2016 PERs soon. FY2017 Performance Evaluation Plans (PEPs) are expected in December. 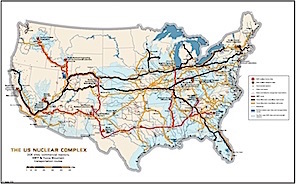 In response to a Freedom of Information Act (FOIA) lawsuit filed by Nuclear Watch New Mexico on March 28, 2012, the National Nuclear Security Administration (NNSA) released the FY2011 Performance Evaluation Reports for its eight nuclear weapons sites. These reports are the government's scorecard for awarding tens of millions of dollars to nuclear weapons contractors, and were available to the public until 2009. But after that time NNSA withheld them in a general move toward less contractor accountability. We sought to begin to reverse that with our litigation. In Spring 2013, NNSA released "Summary Reports" of the Weapons Sites' FY2012 Performance Evaluation Reports (PERs). Nuclear Watch NM requested and received the full reports, which are posted on our site. By Fall 2014, the FY2013 had still not been made publicly available. In November 2104, Nuclear Watch NM filed a Freedom of information Act request for the FY2013 PERs. These PERs were posted online in December 2014. NNSA should be posting these important reports online without making us take up our valuable time filing for them. The Freedom of Information Act requires that "Frequently Requested" documents be posted in a reading room. We don't like it that we have to keep asking for the same reports year after year, especially reports that relate to such important programs and such large sums of taxpayers' money. NNSA But we will keep doing it. 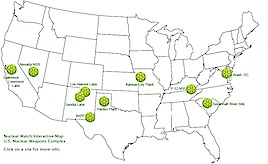 We are posting at right links to newly released FY2014 and FY2013 full PERs for the principal US nuclear facilities. This email is the final response to your December 15, 2014 Freedom of Information Act (FOIA) request (FOIA 15-00077-R) for copies of the National Nuclear Security Administration's (NNSA) FY 2013 Performance Evaluation Reports to include the dollar amounts awarded for each performance objective, and your December 18, 2014 FOIA request (FOIA 15-00078-K) for copies of NNSA's FY 2014 Full Performance Evaluation Reports to include the dollar amounts awarded for each performance objective. All Performance Evaluation Reports and Fee Determination Letters are now in the public domain and may be viewed here. We consider these requests fully satisfied; there are no fees chargeable to you for processing these requests. If you have questions concerning the processing of your requests, please email [my office]. We appreciate the opportunity to assist you. "Because of grossly substandard performance, the Project On Government Oversight and Nuclear Watch New Mexico had jointly asked the Department of Energy Secretary to cut LANS' FY 2014 incentive fee at least in half. NNSA's final decision far exceeds our request. Jay Coghlan, Director of Nuclear Watch New Mexico, commented, 'We strongly praise NNSA for gutting LANS' award fees. This sends an unmistakable message to contractors that they will be held accountable, something which has been sorely missing to date. However, in light of LANS' miserable performance, NNSA should take the next big step and put the management contract out to bid. NNSA and Congress should also consider whether for-profit management of the nuclear weapons complex is really in the country's best interests, when the track record demonstrates that it's not.'" View/download the full NukeWatch press release (PDF). "The New Mexico Environmental Department plans to fine WIPP $17.7 million and LANL $36.6 million due to major procedural problems related to the handling of radioactive transuranic (TRU) wastes that contributed to two significant incidents at WIPP earlier this year... NMED stipulated that the penalties couldn't be paid for out of designated funding for environmental cleanup or operational needs at LANL and WIPP. "The $36.6 million fine at LANL... represents only .02% of the Lab's $2.1 billion annual budget. The contractor that runs the Lab, Los Alamos National Security, LLC, is eligible to earn $57 million in bonus award fees for the fiscal year that ended last September 30th. "Scott Kovac, Research Director at Nuclear Watch New Mexico, stated, 'We applaud these efforts to hold the Department of Energy accountable in New Mexico and we urge NMED to not negotiate these relatively modest fines down, as is typically the case. These fines should be paid out of the contractor's profits. The Lab had this waste for over 20 years and still could not get it right. We hope these NMED fines are a wake up call for safe, comprehensive cleanup of all the wastes left from the Cold War at the Los Alamos Lab.'" Project On Government Oversight and Nuclear Watch New Mexico sent the Secretary of the Department of Energy a letter urging that the contractor award fee for the Los Alamos National Laboratory (LANL) be slashed due to grossly substandard contractor performance. The National Nuclear Security Administration (NNSA) has recently released fiscal year 2012 Performance Evaluation Reports on its contractors at its eight nuclear weapons sites, following Nuclear Watch New Mexico's successful lawsuit for its FY 2011 Reports. These assessments are the scorecards for Performance Evaluation Plans negotiated between the government and its nuclear weapons contractors, which awards the contractors tens of millions of taxpayers' dollars. Public access to these reports is of increasing importance as federal oversight is being continuously diminished. The trend of soaring contractor profits paired with decreasing accountability should be reversed, especially given sequester budget cuts that will further handicap federal oversight. - Design issues for the proposed Uranium Processing Facility (UPF) cost taxpayers over a 1/2 billion dollars. A statement from the Oak Ridge Environmental Peace Alliance (OREPA) sheds light on the FY 2012 Y-12 Performance Evaluation Report. - For more information, read "GAO scolds NNSA for LANL and LLNL contract extensions" at LLNL-The True Story Blog. - June 2012 House Energy and Commerce Committee Press Release: "Committee to Examine Eroding Oversight at Nation's Most Critical Nuclear Sites - 'Hands Off, Eyes On' Approach Raises Bipartisan Concerns"
- June 2012 House Energy and Commerce Committee letter to the GAO requesting a report on the NNSA contractor assurance system: View/download PDF. - GAO-12-912T, September 2012: Modernizing The Nuclear Security Enterprise: Observations on the National Nuclear Security Administration's Oversight of Safety, Security, and Project Management: View/download PDF. In response to a Freedom of Information Act (FOIA) lawsuit filed by Nuclear Watch New Mexico on March 28, the National Nuclear Security Administration (NNSA) has released the Performance Evaluation Reports for its eight nuclear weapons sites. These reports are the government's scorecard for awarding tens of millions of dollars to nuclear weapons contractors, and were available to the public until 2009. But since that time NNSA has withheld them in a general move toward less contractor accountability. We seek to begin to reverse that with our litigation. POGO: Why Do Taxpayers Have to Sue to Get Oversight of Nuclear Facilities? The NNSA's Ten-Year Site Plans are made public because of a victorious Nuclear Watch New Mexico Freedom of Information Act lawsuit. Here is the NWNM Stipulated order. "Today I can declare my hope, and declare it from the bottom of my heart, that we will eventually see the time when the number of nuclear weapons is down to zero and the world is a much better place." -Colin Powell Our Mission: Through comprehensive research, public education and effective citizen action, Nuclear Watch New Mexico seeks to promote safety and environmental protection at regional nuclear facilities, mission diversification away from nuclear weapons programs, greater accountability and cleanup in the nation-wide nuclear weapons complex, and consistent U.S. leadership toward a world free of nuclear weapons. Nuclear Watch New Mexico is supported by the Ploughshares Fund: Investing in Peace and Security Worldwide, the Windfall Foundation, Santa Fe Community Foundation Donor Advised Grants, the New Mexico Community Foundation, and by generous donors like you. Thank You!